Bollards / Vehicle Barriers - Bollards help to protect your utilities and structures from damage caused by vehicle accidents. Bollards help to protect your utilities and structures from damage caused by vehicle accidents. The damages caused by vehicles backing into or colliding with buildings and utilities can be expensive to repair. Bollards provide excellent protection from moving vehicles in these situations. Bollards can be use as low cost barrier protection for important utilities like gas mains, fire hydrants, water mains, ac units, electrical transformers, and fuel tanks. They can also be used to protect structures like dock doorways, pedestrian walkways, building doors, and guard stations. 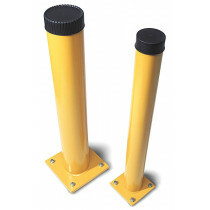 Bollards come in standard or heavy duty weights and are painted Bright OSHA yellow. Bollards Available in: Stardard or Heavy Duty Weights as well as 4" or 6" widths. Have a Question About Heavy-Duty Bollards? 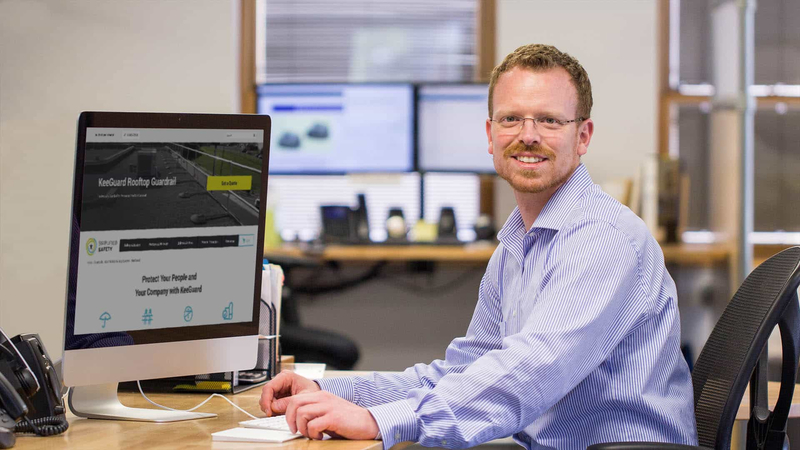 Our team is here to help you choose and configure your bollards.